(Portland, OR.) It's Back, and even bigger than last year's Tournament experience! 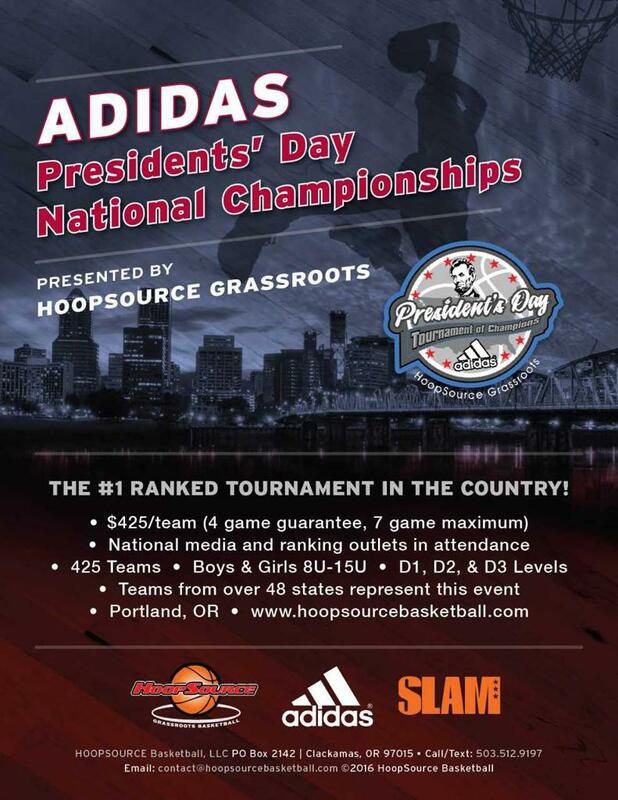 The Adidas Presidents' Day National TOC by HoopSource Basketball in Portland, OR! We will have full national media and exposure out here this year to watch the top tier talent and programs all vying to move up the rankings. This tournament every year continues to be the "MUST ATTEND" event in the country. The history of this event carries a lineage of 31 NBA lottery picks, 10,543 teams, 48 states. This year it will boast over 475 teams on the West Coast. Check out Hoop Source Basketball online at www.hoopsourcebasketball.com for more details and updates.